TO SELL YOUR HOME FAST FOR THE MOST MONEY POSSIBLE, and with the least inconvenience to you. Professional expertise, dedicated customer service and the commitment to succeed have distinguished RE/MAX Michael Cowling and Associates as a leading force in Real Estate. With over 2,950 homes SOLD, Michael has the experience and exceptional understanding of the nuances of our market, combined with negotiation skills to ensure a quick sale for top dollar with minimal inconvenience to the seller. We understand it can be exhausting for anyone to keep a home “ready to show” for an extended period of time; even more so when you have little children or a demanding career. The good news is we have a proven system that will help reduce the time your property sits on the market, and the period of time in which you have to keep your home in show ready condition. Selling your home starts with setting the correct selling price. 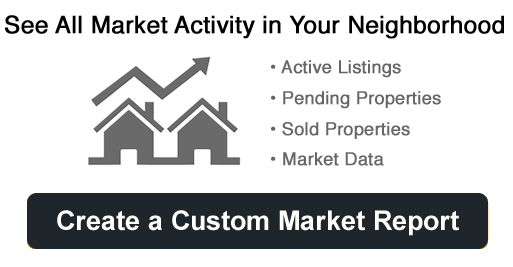 Through a careful examination of recent real estate sales data and an intuitive understanding of market conditions we can help determine the right price for your property. The right price will help ensure higher offers and a quicker sale. Setting the right price will save you both time and money. Our job is exposing your property to the real estate market to gain the attention of the largest possible group of buyers for your home. From there, with our expert advice, your job is to accept the best possible offer for you. Your Properties Unique Webpage. This is our starting point were we want to drive our web traffic. This site will also work as a mobile site if accessed from a Smart Phone or Mobile Device like tablets, etc. We have an instant information text back service that supplies the basic details like price and home size with a link to the pictures and details and a one touch direct dial to a live agent on duty familiar with your home. QR Code, a buyer can scan this with a QR code reader on their Smart Phone. This is posted on the flyers we send out for your property, it is a direct link to your property’s website. We post online in over 70 countries and 30 languages to ensure maximum exposure. The YouTube video and photo tours of your property are embedded in many blogs and social media sites. Your property’s information will be accessible online immediately, and will have 24-hours a day exposure to thousands of potential buyers and their realtors that will maximize the opportunity of selling quickly. As well, you’ll have access to our nation-wide network of professional real estate contacts and buyers that has seen Michael’s ongoing development since 1989. Your listing will also benefit from the amplified exposure provided by our extensive digital and social media marketing systems. We pride ourselves on employing the latest cutting-edge technologies in SEO (search engine optimization) and social media marketing for Real Estate. We have an expert on staff dedicated to ensuring you will see our advertising campaigns throughout the latest platforms, including Facebook, Instagram, Twitter, YouTube, and LinkedIn. Please contact me at your convenience to get answers to all your questions about selling your home. I look forward to hearing from you.